The Manchizzle: Film fest shock! 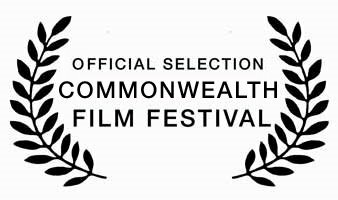 Commonwealth Film Festival is closing June 30, for good. This is bad news. Every year the festival showed an intriguing programme of films that might have trouble finding an audience otherwise, particularly emerging Asian cinema. When was the last time you saw a Malaysian movie at the cineplex? The Commonwealth, as an entity, doesn't seem to hold much water these days, and for younger folks it may actually possess a negative association, a reminder of Britain's distasteful imperial past. 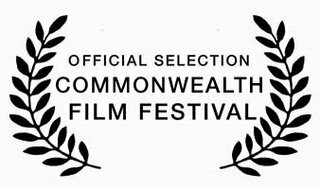 The film fest was launched in the runup to the Commonwealth Games, and managed to keep going for five years, which is a credit to its great staff. But festivals and organisations launched for such milestones (e.g. Capital of Culture) aren't always sustainable once the raft of grants and funding floats away to the next big cultural thing. will showcase exclusive premieres and outstanding new talent. whom have successfully made the transition from shorts to features. What's up with all the *asterisks? * I have no clue either, but a new film festival is a good thing for the city, and a biennial one should be easier to sustain. I don't want to appear too cynical, but does the world really need another film festival? It sometimes appears that there are more festivals than films, all trying to find their own little niche in already saturated market. We already have the 'End of the Pier' Film Fest in Bognor Regis and the Kendal Mountain Film Fest among over 100 in the UK. Can't we just, you know, go to the cinema, buy some popcorn, complain about the people behind us talking too loudly, and watch a film? Ah, but what you have to remember is that Kinofilm is no newcomer to film festivals. Kino has been coordinating film festivals for 10 years (their short film festival reached 10 in Feb this year). Their proposed - or rumoured new festival is supposedly a move up from shorts (hey come - on, after 10 years of shorts then maybe it is a good idea!) to something much bigger and that will appeal to a much wider audience than just short film lovers. Brief details are on their web site so I guess it can't just be a rumour!! If they pull it of it will be fantastic for the city, as anyone who has been kino-d knows, their festival has been the top festival of the city for years!!!! Good luck to them that's all I can say, so come on, show your support guys! film bluff said 'End of the Pier Film Fest' in Bognor Regis. Never heard of this one and I do a lot of festivals. Anyone any news or info about this festival? Is it a happenning fest? Somehow I can't quite imagine a film festival in a butlins town! Not run by the prat who runs Kino!!! Welcome, anonymously posting Kino employees! I refuse to believe anyone but someone who works for the festival would use the verb construction "kino-d"
that's what i like about these blogs, they're really useful for constructive dialogue! How do you know when you've been kino-d? What does it feel like? Just wonderin'.